I feel my work going forward will mostly be in the romance category, but I don’t like traditional romance book covers. Hunky guys area great and all, but true or not, their presence tends to say the words inside aren’t a great literary work. 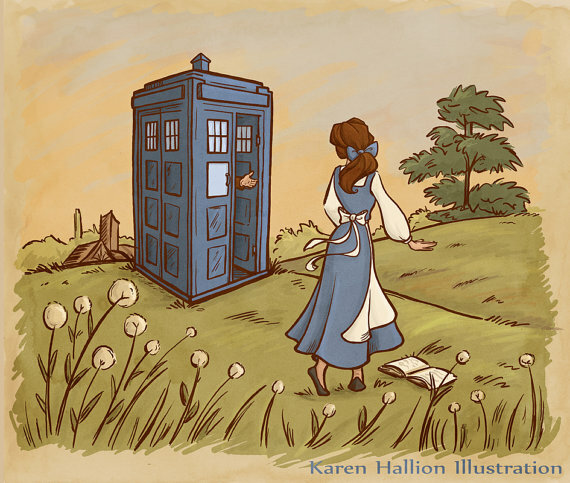 Karen’s work is cartoonish, but in a classical, whimsical way that I think would lend nicely to what I’d like to have on the covers of my books. I’m not sure her style would work on the book I’m currently finishing up, but for where I’d like to go as an author, I think she might work quite well. But I’ve always got my eye open for an artist I can partner with, not only one like Karen, but someone to do all my book covers. I need to redo the covers for my already published series (The Purity of Blood.) What I have is fine for Ebooks, but I want to really punch them up to do the paperbacks. Today I’m feeling like I got hit by a mac truck. Yep, I way over did the walking yesterday. I seem to easily forget I’m still supposed to be taking it easy after my surgery. ← 6 April 2015: Am I the only one?? ?